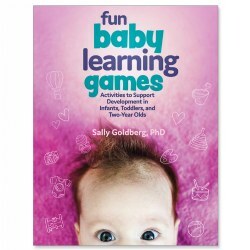 These products aid children in their early childhood development. Kaplan's collection of over a hundred balls, shapes, stackers, blocks, and animal sets help children learn to classify and sort. 1 year & up. Your little on will have a great day on the farm with the Farm Animal Friends Set by Fisher Price®! Build a farm filled with your favorite animal friends. 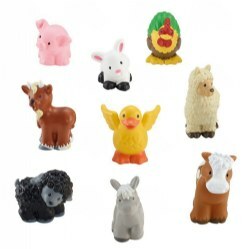 Figures measure between 2 to 4"H. Set includes: Cow, Pig, Sheep, Donkey, Llama, Goat, Rooster, Duck and Bunny.